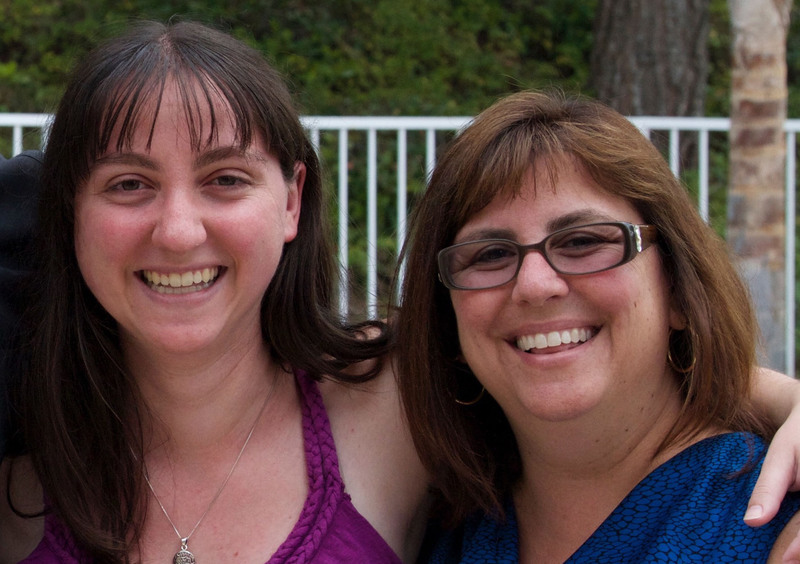 This past fall, we had three special participants in our online course, Don’t Kvetch, Organize! These participants are parents of current fellows in our Jewish Organizing Fellowship Program. This meant the while our Fellows were beginning their journeys with JOIN to become the best organizers they can be, their parents were learning alongside them through our online course. 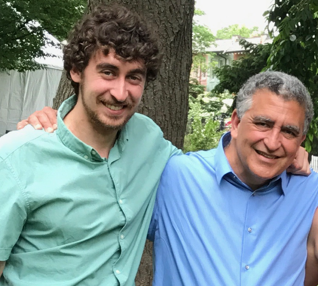 In honor of Mother’s Day a few weeks ago, and Father’s Day coming up, we want to share the beautiful stories and reflections of the parents experiences taking the online course, Don’t Kvetch, Organize! and how their justice work and relationships were strengthened because of it. Hersch (Fellow): From a very young age, my dad taught me to always question authority and to never accept the status quo. Without realizing it, he was raising me to become an organizer. I don’t think we’ve had a conversation without it turning political in well over five years. However, he always regretted not taking on more systemic political work outside of practicing law. The Don’t Kvetch, Organize! course had really lit a fire in my dad’s belly. He was always telling me how he carved out time in the morning to complete his assignments. I’ve always enjoyed talking with my dad about my organizing work, but now that he’s taken the course there is more dimensionality to our conversations. We are both drawing on what we’ve learned to help each other navigate organizing, and develop ourselves as organizers. 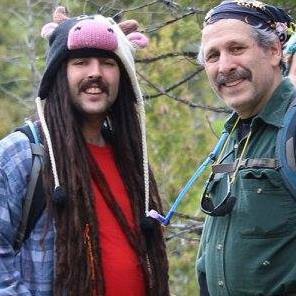 Michael (Hersch’s Father):I am so proud of how my son is doing as a JOIN fellow. He is staying true to his principles in every single respect. Not many people have the opportunity to engage in a job they love that allows them to practice their political beliefs and make a difference. Every day I see him grow. He inspired me to take the JOIN course; Don’t Kvetch, Organize! I am planning to apply the skills I learned in the online course to help organize the Democratic party in Burlington County and make it more progressive and active. I believe this is important because our representative is Tom MacArthur who was one of 9 Republicans who voted against the repeal of ACA. I hope I can devote the same energy to my organizing as Hersch does to his. Miles (Fellow): As I have come to political awareness in the past few years, it’s been wonderful to have more conversations with my parents about the world. I’ve found myself broaching topics that we never previously had: race and racism, capitalism and alternative economic systems, and more. Increasingly, I felt my dad and I had many similar views, but he didn’t always have the same language that I did or experience in the organizing world. I recommended Don’t Kvetch, Organize! and he was enthusiastic about having the opportunity to learn about how to really affect social change. It’s been beautiful to see him engaging in politics more than ever, especially in these important and volatile times. Marcel (Miles’ Father): Although I think of myself as being a liberal and having strong opinions about making the world a better place, I have felt that I have done little to change the world. My biggest contribution has been, together with my wife, to raise three well-adjusted children who are all committed to making the world a better place and whose opinions and actions I respect, value, and support. My 22 year old son, Miles, is the youngest and active at a grassroots level. Miles suggested that I take the JOIN class Don’t Kvetch, Organize!. The title seemed perfect for the change in my life that I have been looking for. Organizing is definitely outside my comfort zone. I am a mathematician by training, so I like clean problems: Problems that can be easily stated and that have elegant solutions. The types of issues that we need to tackle in order to improve the world are on the opposite end of the spectrum. The problems themselves consist of a web of complex issues and the solutions are not straightforward. The solutions involve collaborating with a group of people and persuading a much larger audience to participate and become active. Often the solutions seem to defy logic and ignore facts. The tactics for problem solving in this space revolve around storytelling and the strategies require visionaries. Furthermore, no matter what the solutions are, there will be parts of the solution that seem to be antithetical with the final goal as well as the prejudices that have been ingrained in me about what it means to be a good person. The class Don’t Kvetch, Organize! was a good first step for me. I think that before I become good at organizing, I will need to get some practice as an apprentice. Miles is doing a good job in teaching me some useful skills. I started to take the course before the Clinton/Trump election. I felt quite frustrated that I did not persuade a single person to change their vote. I feel that there is a lot of work ahead, and that I have a lot to learn. Rachel (Fellow): One night leading up to the election, I was talking to my mom on the phone about whatever stories happened to be in the news that day. She told me that she was feeling so sad about everything that was going on—especially the vitriol and hate of political discourse—but that she didn’t know what to do and was looking for some way to educate herself on language and strategies of today’s justice movements. In response, I suggested she take Don’t Kvetch, Organize course (which I had taken in the Fall of 2015), and she did! It was great to have conversations about organizing together—we talked about a lot of components of the course, shared thoughts on some of our favorite videos, and discussed important issues like what it means to prioritize certain identities and voices without tokenizing individuals. I’m really proud of the project my mom is developing as a result of the class (see below)—she has been a teacher at her school for 22 years (since I’ve been born!) and a union representative for 10, and the work she is doing is an example of the powerful transformative work you can do when you’re really embedded in, understand, and love a community. I feel so proud to have a mom who pushes herself to learn about justice work through new modes, and lucky that I have a mom who I can learn from and with in my organizing work. Elana (Rachel’s Mother): During the course of the class, one of the staff members at my school was diagnosed with cancer. As I started to think about it, I realized that we have had an unusual amount of staff members diagnosed with cancer at our school and needed to take action. In the past I would have done this on my own, but drawing on the lessons I learned in Don’t Kvetch, Organize!, I knew the project would be enriched by input from the entire staff. What really surprised me when we all got together to formulate a plan was how everyone stepped up to help and how we were able to create a comprehensive plan of action so quickly and efficiently. We have teams scheduling meals, testing the water and soil, and meeting with our union and our district to see if we can find a cause. It felt wonderful to not have to shoulder the entire burden and I know we will be more effective together. On a personal level, I feel such a pride in the work Rachel is doing. It’s not the kind of pride you feel as a parent when your child accomplishes something at school (although that’s nice too) but a deep, deep pride that comes from knowing that your child is helping to make the world a better place. And, she has helped make me a better person too! BONUS: ** Looking for another sweet family organizing story? Check out this post from last year!